Sugarbea And Her Colours: Be Merry Be Jolly ~ Falalalalala! 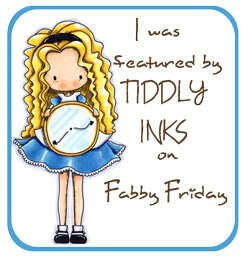 Have you check out the new collection of stamps already? Be sure to do so if you haven't! 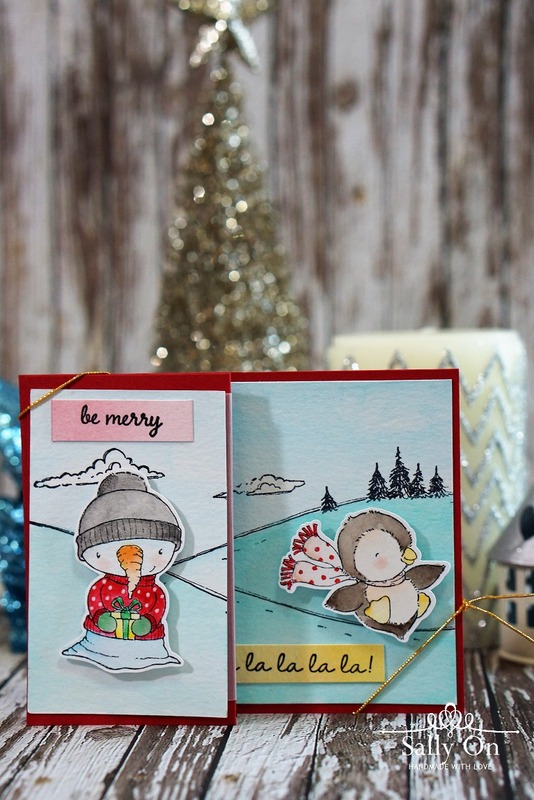 Snow Day has all the adorable images you need for this Christmas season! The complete set of Snow Day collection is currently on sale for USD90.00 till 10 November, so do take this opportunity to make the purchase as it will save you 30% from the usual price. 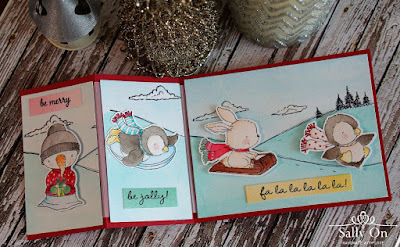 Sharing with you today, is a tri-fold card I made using 5 images from the Snow Day collection. This is my first tri-fold card! ﻿This is the front view of the tri-fold card. The "story" unravel when the card is opened! For a change, I used Zig Clean Colour real brushes to colour the Dash, Hope, Jingle and Flurry. And for the background stamp of Snow Day! Hill, it's just a light brush of watercolours from my usual watercolour palette. The background of Snow Day! Hill is just perfect scene for Hope Jingle and Dash! And to give the card a little "narrative' feel, I added the sentiments from Winter Wishes and Snow Flake Grove. The background stamping was a little tricky as I need to align the hills to make it look more like a whole scene and connected, so I used Inkadinkado Stamp-A-Ma-Jig Stamp Positioner to try my best to align the lines of the hills. All images are stamped with Archival inkpad in Jet Black. I hope you like what I've shared today! 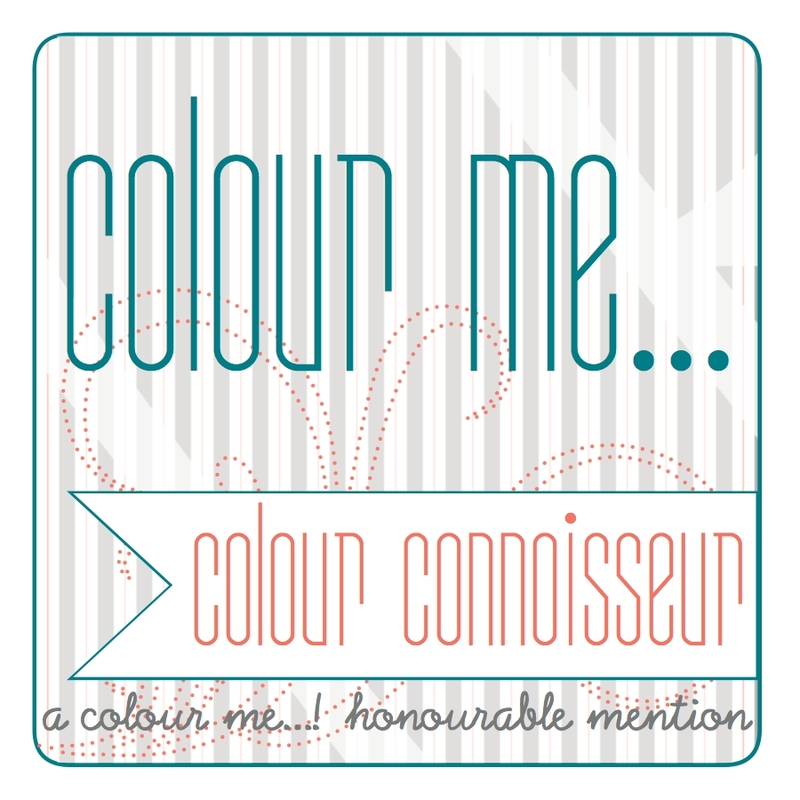 Please do check out more lovely creations from the Design Team at Purple Onion Designs today and be totally inspired by all the creative works!